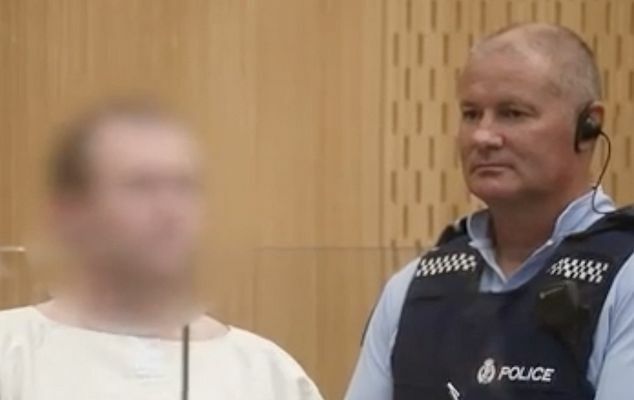 Branko Miletic explores a possible connection between the Christchurch shooter's white-supremacist "manifesto" and an anti-Muslim subculture of convicted war criminals living freely in Australia. AND SO GO ON the lines from the Serbian nationalist song that the alleged New Zealand mosque shooter, 28-year old Australian Brenton Tarrant, was playing minutes before he stepped out of his car and killed 50 people attending afternoon prayer in Christchurch. A long hard look at a major spark of this and other similar acts finds a strong commonality with a range of (mostly discredited) Balkan historical myths. But it’s Australia’s response or, rather, lack of prevention of this insidious racist victimology that needs urgent redress if we are to at least try and stem any similar future atrocities. According to his 74-page "manifesto", the alleged Christchurch shooter had contact with Anders Breivik, the Norwegian white supremacist who murdered 77 people in Norway back in 2011. Like Breivik, Tarrant also claimed to be affiliated with the shadowy Knights Templar International, who are not only anti-Muslim but also count the Chetnik-inspired Serbian Radical Party in their membership. Al Jazeera has reported that Tarrant also said that he took "true inspiration" from Breivik and received a "blessing" for his actions. For his part, says the Al-Jazeera report, Breivik was inspired by Serb massacres of Muslims in the Balkans in a rambling 1,500-page manifesto that referred to convicted war criminal Radovan Karadzic as an 'honourable crusader'. During his trial, The Guardian reported, Breivik said that the NATO bombing of Serbia in 1999 was "the straw that broke the camel's back" regarding his radicalisation. The Guardian also reported that Breivik admitted to meeting former Serb Chetnik commander Milorad Ulemek, who was convicted of assassinating Serbia's pro-western Prime Minister Zoran Djindjic in 2003. Serb nationalists [Chetniks] enjoy cult status among many far-right groups in Europe where they are admired for their militancy, extreme Islamophobia and - most importantly - for having put words into action in the 1990s, when Serb nationalist paramilitaries killed thousands of Muslims in Bosnia and Kosovo. As for Tarrant, according to reports in the Sydney Morning Herald, some names inscribed on his weaponry in Serbian Cyrillic included Bajo Pivljanin and Novak Vujosevic, both who led uprisings against the Ottomans. So what does this have to do with Australia? Quite a lot it seems. Firstly, in a stunning revelation, it has now been confirmed that the Serbian war criminal and Chetnik luminary, known as Captain Dragan, who was extradited to Croatia in 2016 for war crimes and crimes against humanity, was apprehended in 2010 in Grafton NSW, only minutes from Tarrant’s home and place of work. Tarrant also visited Serbia in 2016, according to various overseas sources who have also noted that his Facebook page (now deleted) was full of Chetnik profiles from Australia. As late as last week, The Australian’s Jacquelin Magnay was writing a series of news reports that exposed that a number of ICTY-convicted Serb war criminals were living quiet lives in Western Sydney within the same milieu that manufactures and promotes anti-Muslim and pro-genocide memes. One of these, alleged war criminal Zoran Tadic, fled Australia in late February, and prompted by this embarrassment and the 11 reports by The Australian, the Morrison Government caved in and claims it will now “arrest any suspected war criminal”. Even ANZAC Day is not immune from this controversy, with Serbian Chetnik formations marching alongside Australian diggers and other Allied veterans despite the fact the Chetniks are officially designated in most parts of the world as Nazi collaborators whose leader, Draza Mihailovic was hanged in Yugoslavia in 1947 for the crime of "collaboration with the enemy" and for committing crimes against humanity. Some ten days ago, I wrote to the Attorney-General’s Department (AGD) and asked why indicted war criminals living in this country are not being arrested. Under div 268 of the Criminal Code, Australia has universal jurisdiction over international crimes; that is, it has the ability to try individuals suspected of committing war crimes, crimes against humanity and genocide regardless of where or by whom the crimes were committed and whether the crimes were committed against Australian citizens or Australian property. By not banning this anti-Muslim subculture, Australia has not only tolerated Breivik and Tarrant but it has also unwittingly supported the political underpinning of their abhorrent acts. Branko Miletic is a journalist, editor, historian and author who has written extensively on the wars in the Balkans and post-Yugoslavia politics for the past 20 years. You can follow Branko on Twitter @journovox9.